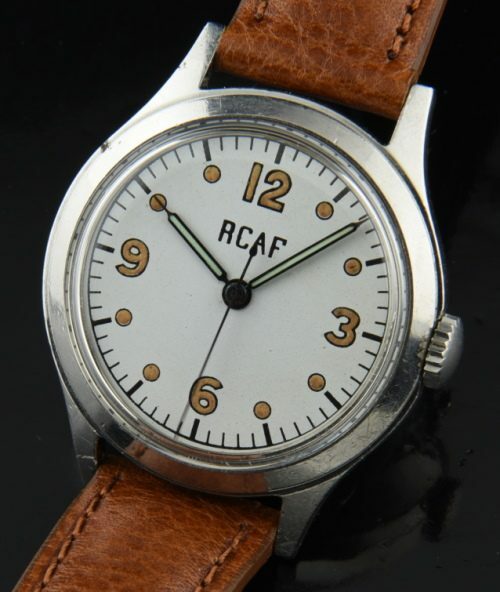 This is the larger version of the R.C.A.F. 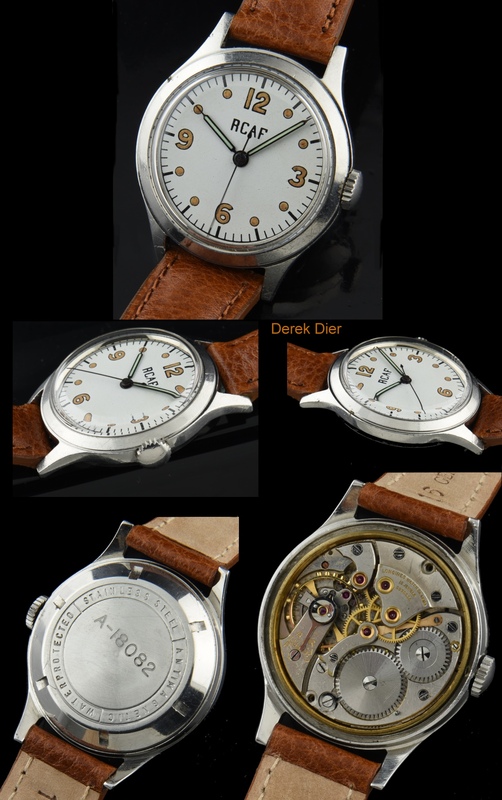 pilot’s watch (compared to the Waltham) from the 1950’s measuring 33mm. in stainless steel. The case has not been polished. The dial is original as are the hands. I’ve had these watches many times and found them with lighter luminous on the hands. This version is more desirable than the smaller WALTHAM version; being that it has a LONGINES manual winding movement and is larger than its 30mm. brother. This movement was just cleaned and is accurate. These are becoming quite hard to find these days. Own a piece of Canadian military history.